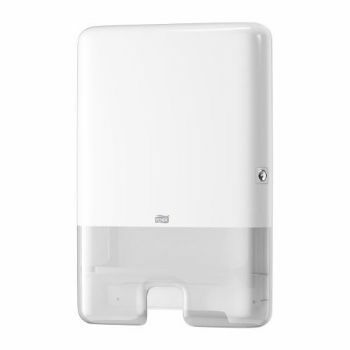 The Tork Xpress® Multifold Hand Towel Dispenser in Elevation Design is suitable for environments that demand both comfort and hygiene. This slim, attractive dispenser reduces consumption and waste with one-at-a-time dispensing. Tork Elevation dispensers have a functional, modern design that makes a lasting impression on your guests.